Watercolor, 16 x 20. 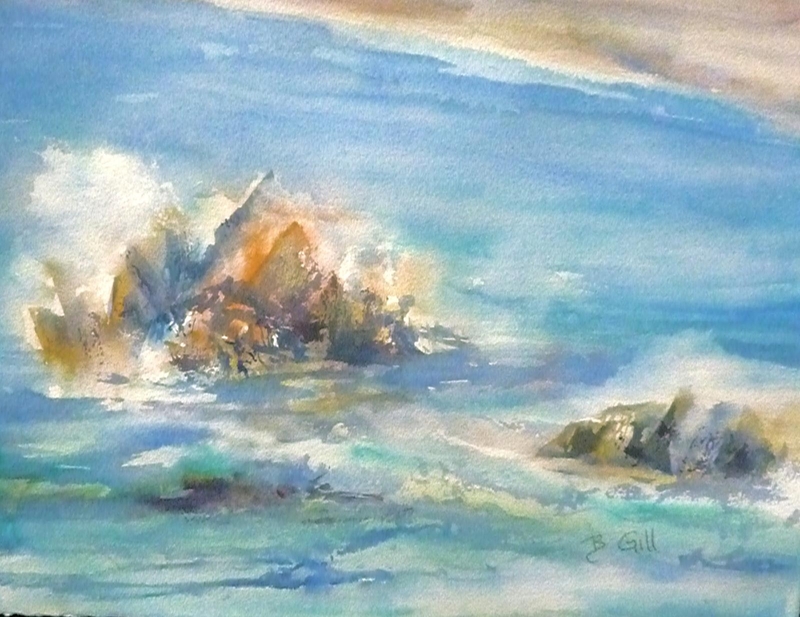 This painting is from Whalers Cove at Point Lobos State Park. It was in the Carnegie Art Center Spring Show, 2012. Barbara Gill Salerno is a plein air watercolor artist who specializes in landscapes, seascapes and inspirations from nature.